Pawns can move and take across edges. Pawns can't take backward, only forward. 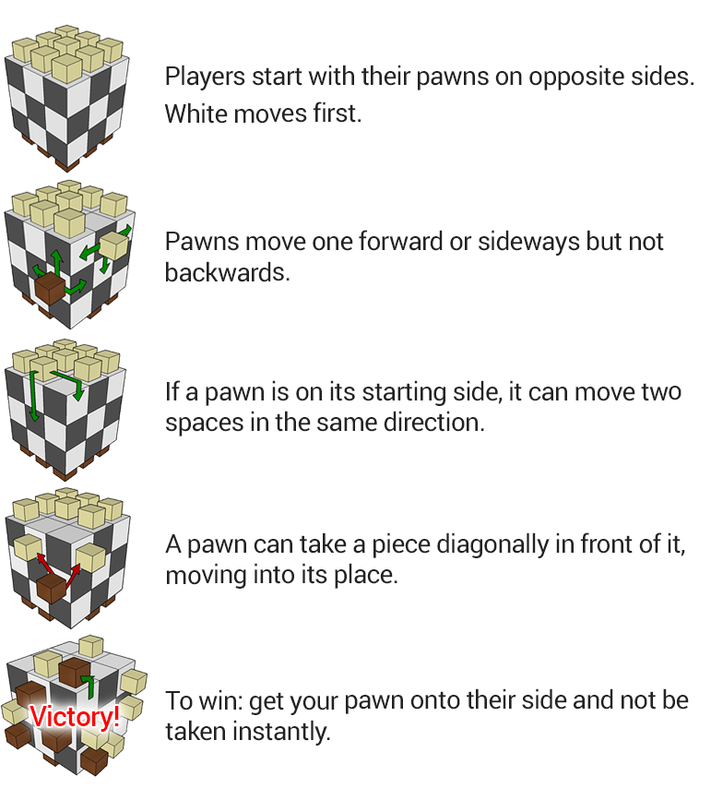 Pawns can't jump over other pieces when moving by two squares. A pawn on its starting side may but doesn't have to move two squares. It can still move one square. forward means from the middle of your side towards the middle of your opponent's side. ...therefore, the middle pawn can initially move in all four directions, but can never return to its starting square once it has been moved. 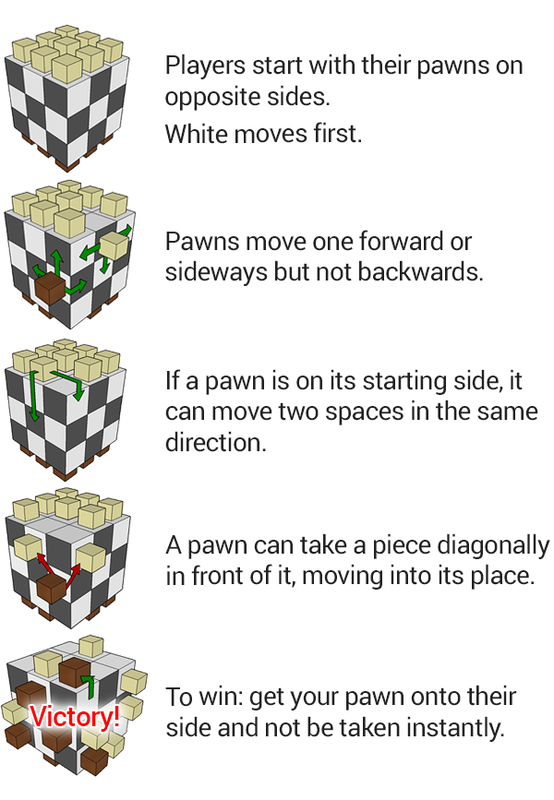 A pawn can move two spaces multiple times provided it is still on its starting side. A player may not skip a move. Unlike in chess, there is no en passant rule. If you have a question about the rules which isn't answered above, please ask us on the contact page. It might help us make the rules clearer to others. All of the above rules and clarifications apply to the Checkmate Expansion. The only exception is that a pawn becomes a queen when it gets to the opponent's side and the game continues. Great! 3D Pawn is now available for purchase for £29 with free shipping to the whole world. You can also like our facebook page to stay updated. We'd like to say special thanks to Gary Shaw and Marceli Petre Sarti for generously supporting 3D Pawn.